Obama Effortlessly Leads Prayers During Mosque Visit "It's almost as if he's visited a mosque every day of his life." Baltimore, MD – On a brisk February day, President Barack Obama walks into a Baltimore area mosque, swiftly removes his shoes and heads for the ablution stations in a suspiciously routine fashion. This is Obama’s first visit to an American mosque during his presidency, and is part of the administration’s push to promote religious tolerance. Imam Abdul Ali of the Baltimore Islamic Community watched the President as he shuffled right past the mosque reception committee, and straight to the men’s restroom. Prior to prayer, Muslims are required to ‘purify’ themselves through a series of steps that involve rinsing parts of their bodies. 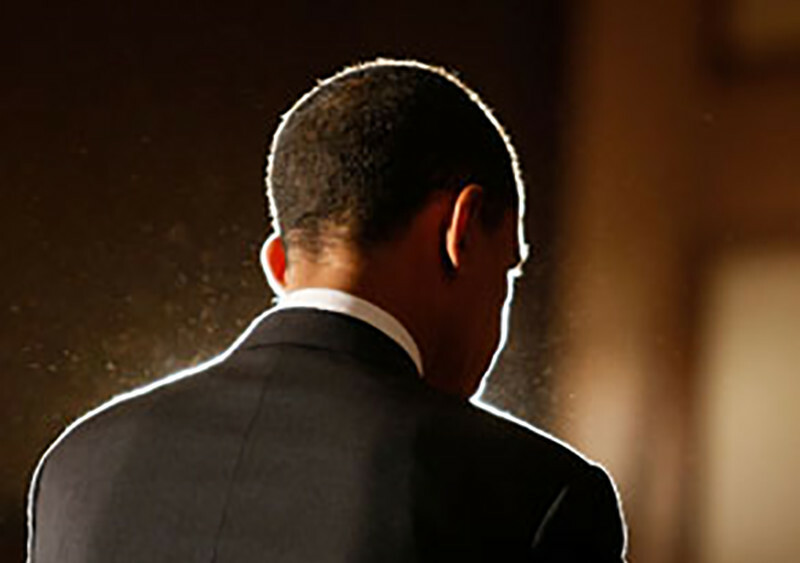 After the evening Athan (call to prayer), Obama assumed the role of leading the congregation. Thirty-four-year-old mosque attendee Tariq Ahmed stood bewildered as he observed Obama easily go through motions of the prayer with an impressive recitation of Quranic passages. Obama recited the entire Surah Ya-Sin during the first half of the prayer, with many congregants floored by his accurate pronunciation and inflection. After prayers, and with miswak in hand, Obama made a few announcements and implored the community to donate generously. He then ushered himself back to a blocked-in presidential limo.